Placemaking is a movement that is inherently local, but also increasingly global. Even as the message of great places spreads around the world, it remains at the grassroots level where placemaking projects are truly taking off. 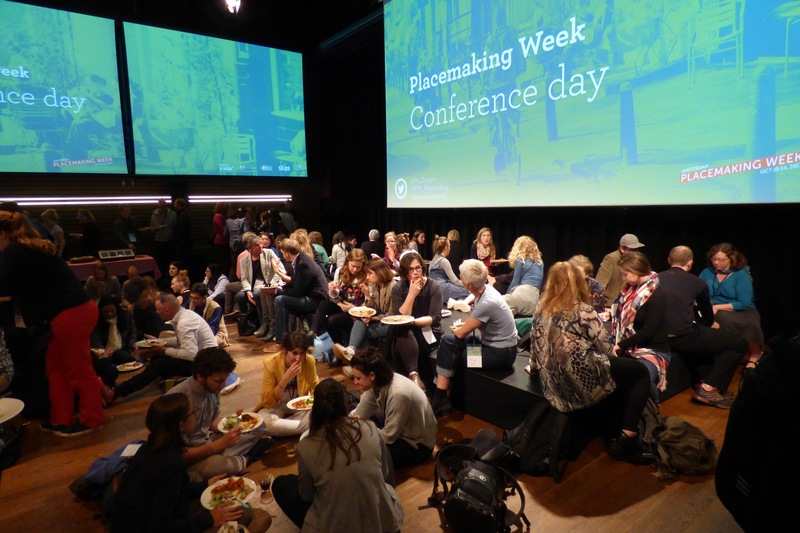 The power of local initiatives became clear at Placemaking Week earlier this month, beginning on the first day with a selection of placemaking initiatives from our host city—Amsterdam. Amsterdammers are well-known for being on the cutting edge of placemaking and for their exceptional public spaces. 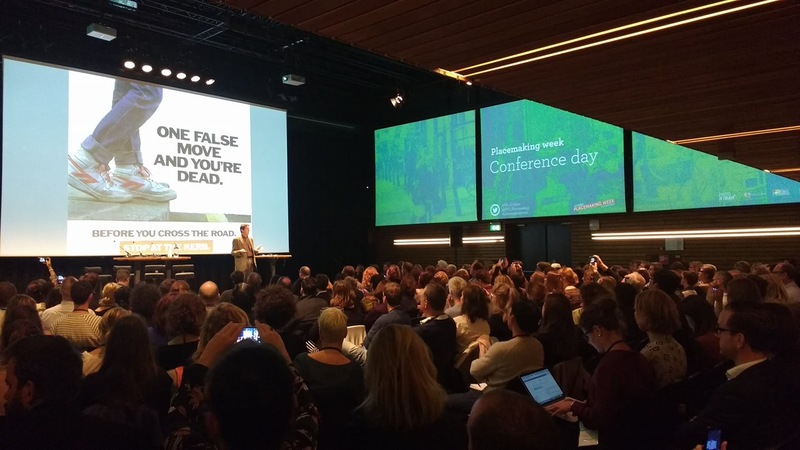 In an early morning roundup of rapid-fire presentations, many of these efforts came to light, from Benches Collective, the world’s largest open-air café, to Amsterdam Roest, a former industrial building turned creative hub where we held our closing party. This series of inspiring stories from one of the world’s eminent cities for placemaking set the tone for a day of local empowerment and inspiration. The Amsterdam love continued during our keynote presentation from Ben Hamilton-Baillie. The city of Amsterdam is well known for its seamless integration of cyclists, pedestrians, and cars. With this in mind, we were pleased to welcome Hamilton-Baillie—an expert on shared space, the behavior of drivers, and how streets can contribute positively to the public realm of a city. 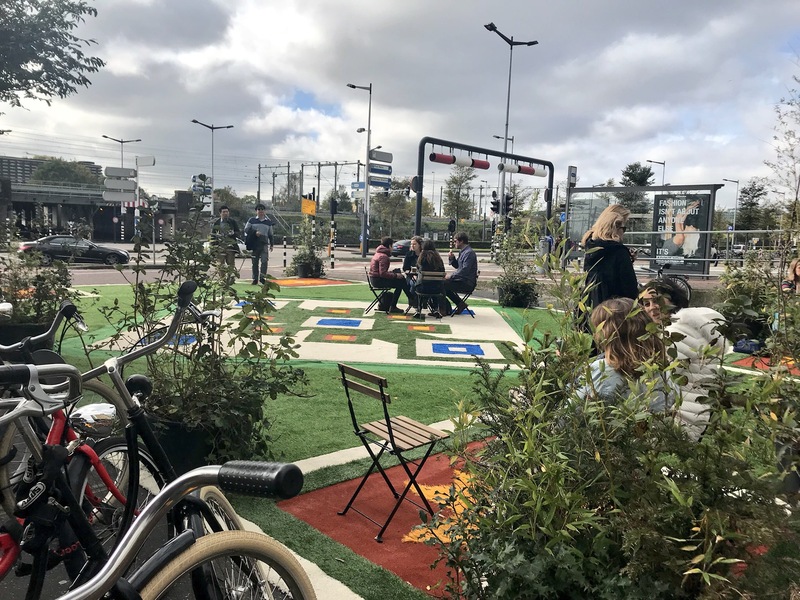 Re-imagining streets as places for human interaction in which people, cars, and bicycles coexist, Hamilton-Baillie’s powerful presentation touched on themes quite familiar to places like Amsterdam, and useful for growing cities worldwide. For the remainder of the day, participants experienced a bevy of breakouts covering the local triumphs and challenges of placemakers from around the world, from a book collecting street level best practices from around the Netherlands to innovation districts in Chattanooga to the challenges of inclusive citymaking in Africa’s fast-growing metropolises. Attendees shared stories of successful tactical urbanism projects and Main Street transformations, while others discussed ways to achieve peacemaking through placemaking, or brainstormed about the best approaches for funding local projects. 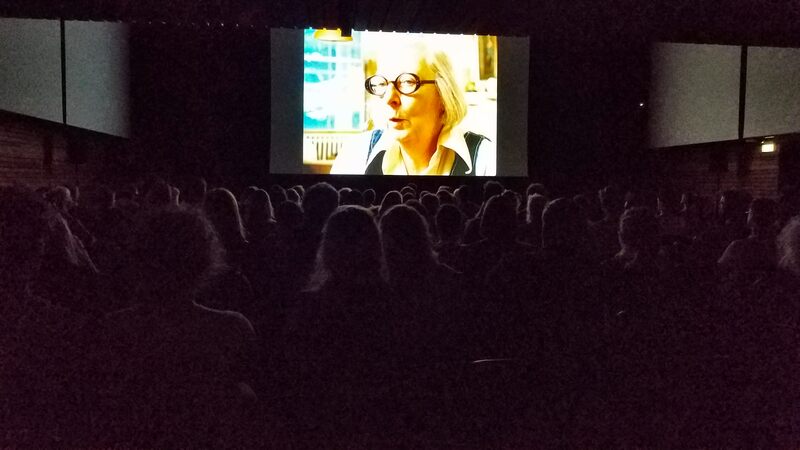 Both Thursday and Friday also offered sessions called "Short Talks," which were comprised of 6-8 short presentations focused on a particular theme. Thursday's session on Data and Research delved deeply into metrics and tools for analyzing public spaces and placemaking, and participants discussed the relationships between psychological ownership and perceptions of publicness in thinking about the effects of crowds on a place's sociability. 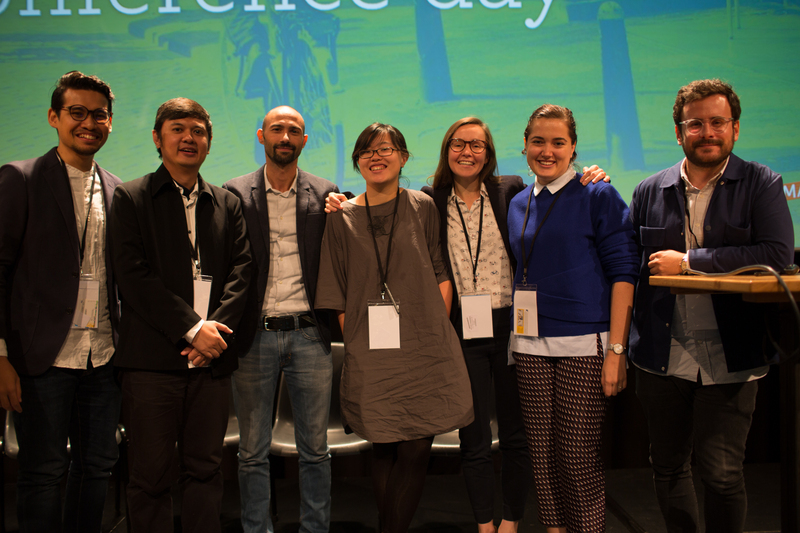 In the Cultures and Context session, a global group of practitioners considered topics ranging from the challenges facing Telok Ayer Park in Singapore, to a discussion of placemaking in the Russian context. Thursday featured two "Short Talk" sessions on Data and Research and Cultures and Context. The former delved deep into metrics and tools for analyzing places, while the latter brought together a global group of practitioners to compare and contrast their unique local contexts. 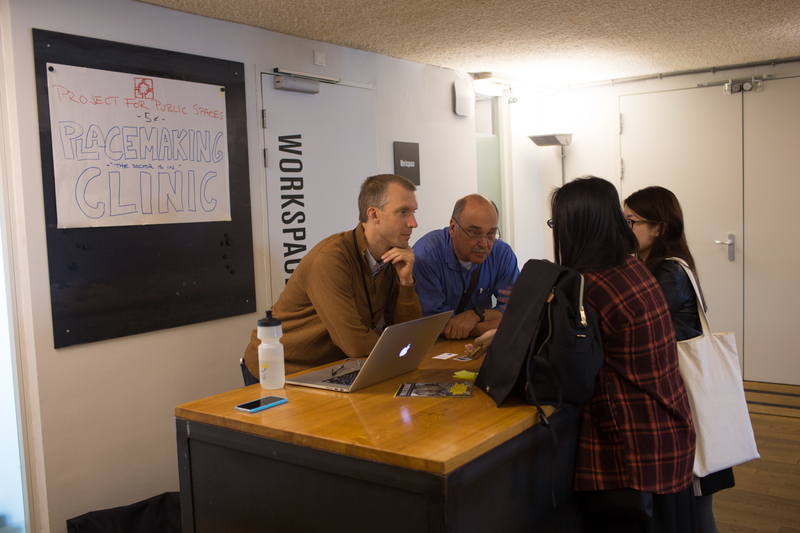 Throughout the conference, PPS also hosted a "Placemaking Clinic" in which attendees were invited to drop in to speak with a friendly, knowledgeable member of our staff. At an informal networking dinner, participants spontaneously transforming our plenary space into a giant indoor town square. Holly Whyte would be proud. Placemaking Week was a global celebration of deeply local projects. With participants from 47 countries around the world , the conversation shed light on the nuances of local action in the name of a growing global movement for great places. Next week, we’ll take a look at the global side of this event, starting with Friday morning’s roundup of placemakers working on every habitable continent. Until then, check out this Storify summary of some of the pre-conference events.